CAMP OSITO D BAHIAN, MALAYBALAY CITY - More or less fourteen (14) unidentified armed men believed to be members of the New People’s Army (NPA) burned two heavy equipment at Sitio Tanlad, Brgy San Juan, Balingasag, Misamis Oriental around 3:00 p.m., January 26, 2015. 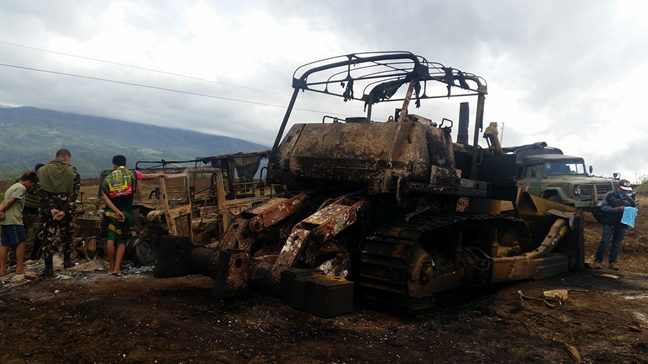 The said heavy equipment, particularly one (1) bulldozer and one (1) hummer type jeep were owned by Big Ben Trucking Services based in Libona, Bukidnon used for the opening of road project in Sitio Tanlad that was rented by Del Monte Philippines Incorporated. Based on the inquiry, possible motive for the burning is the refusal of the company to give in money for the extortion activities of NPA. 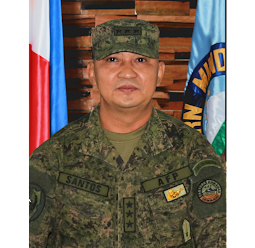 In a statement released by the 403rd Infantry (Peacemaker) Brigade, Colonel Jesse Alvarez, Commander of the said military unit denounced the burning, “We sent troops in the area to go after the perpetrators. 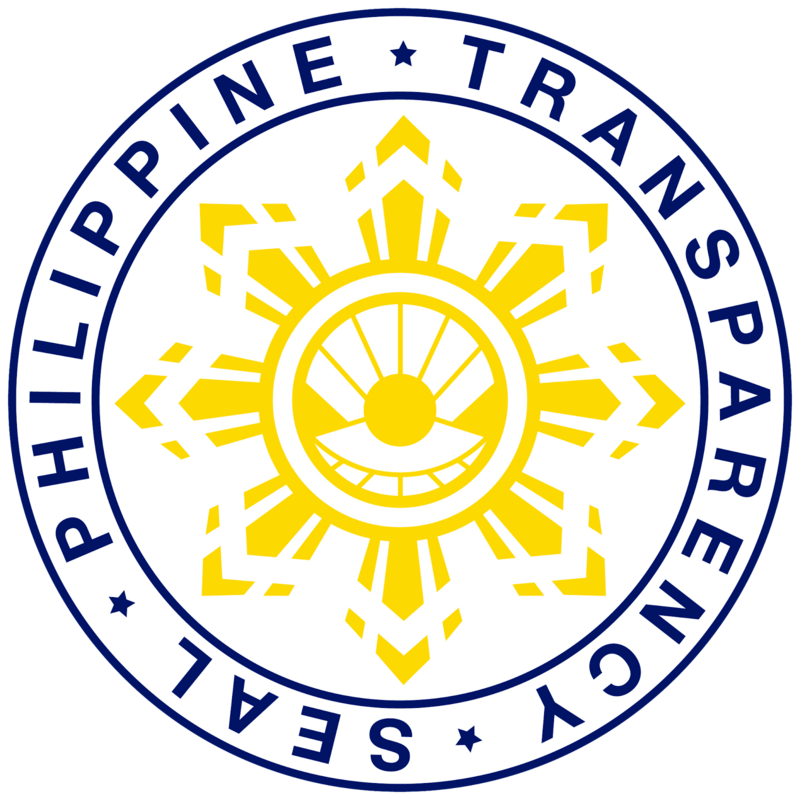 This anti-development activity of the NPA is one of their desperate moves to finance their underground movement and it is also anti-people. 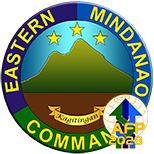 It is high time for contractors of development projects to cooperate with the military so that they will not be victimized by the NPA. We must join hands to bring peace, harmony and development in our community. The NPA members must realize that they are not helping the country and the Filipinos to get out of poverty. 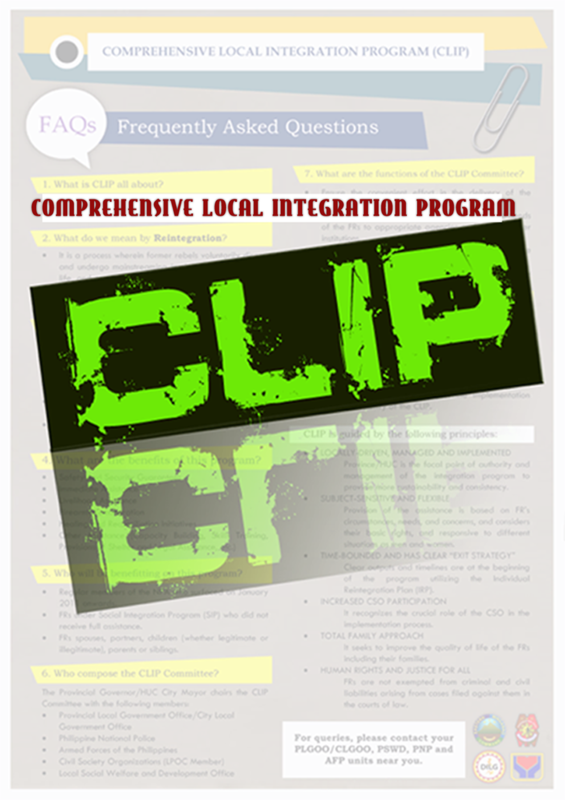 They must instead avail of the Comprehensive Local Integration Program (CLIP) to make themselves productive citizens of the country.” Col. Alvarez added. 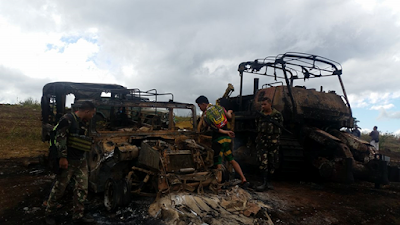 The bulldozer and hummer type jeep owned by Big Ben Trucking Services rented by Del Monte Philippines Incorporated burned by more or less fourteen (14) unidentified armed men believed to be NPA at Sitio Tanlad, Brgy San Juan, Balingasag, Misamis Oriental in the afternoon of January 26, 2016. Photo courtesy of 58IB, 4ID, PA.